As anyone watching this crazy election year unfold knows, in 2016 we are as caught up in plans to build walls against “Them” (those many enemies out there just waiting to overtake our shores) as Soviet East Germany was in 1952. Is anyone thinking about what that would look like in reality??? Maybe Trump voters should review Bridge of Spies for a little context? Maybe it’s not really surprising that films express the astrology of their times. What is amazing to me is the way period pieces such as Steven Spielberg’s Cold War drama, Bridge of Spies (2015), capture not only the current astrology, but the astrology of their historical subjects. It seems that—just as planetary cycles reawaken social dynamics for another go-round—films often provide a “mirror” into the issues that need revisiting. Such as walls and the reasons for building them. Some of the most dramatic moments in Bridge of Spies picture the brutal, frenzied way which the Berlin Wall was constructed in 1961, at the height of the Cold War. 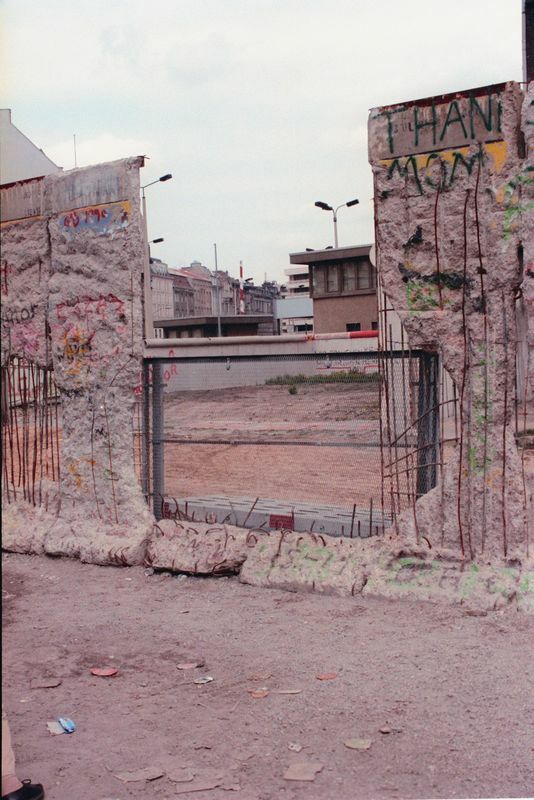 Meant to stop the escape of East Berlin residents into the less repressive Western sector, as well as the flow of Western “agents” into the East, the Wall was first conceived in a Moscow meeting with Soviet dictator Joseph Stalin on April 1, 1952. As Stalin put it, "The demarcation line between East and West Germany should be considered a border—and not just any border, but a dangerous one ... The Germans will guard the line of defense with their lives." It’s hard to miss the parallels here with today’s “build-a-wall” election rhetoric. For starters, as we’ll see, Cardinal energies were highlighted in 1952, with Saturn and Neptune applying to a new cycle in Libra and Saturn squaring Uranus in Cancer; today, we’re still reeling from the dramatic “Cardinal Climax” that began in 2010 with Uranus’ ingress into Aries. By August of 2010, a powerful T-square had formed with Mars-Saturn opposing Uranus (Libra-Aries), both ends squaring Pluto in Capricorn—Uranus still square Pluto. Challenging times! Cycling round to push a “big power” agenda once again, Jupiter’s current trine to Pluto (Virgo-Capricorn) was echoed by the fiery Aries-Leo trine of 1952; today’s power agenda is simply more driven by capital and resource ambitions (earth) than by brute force (fire). Conceived in 1952, the actual building of the Wall didn’t start until August 1961, when the official order to build was signed. This is the period portrayed in Bridge of Spies. 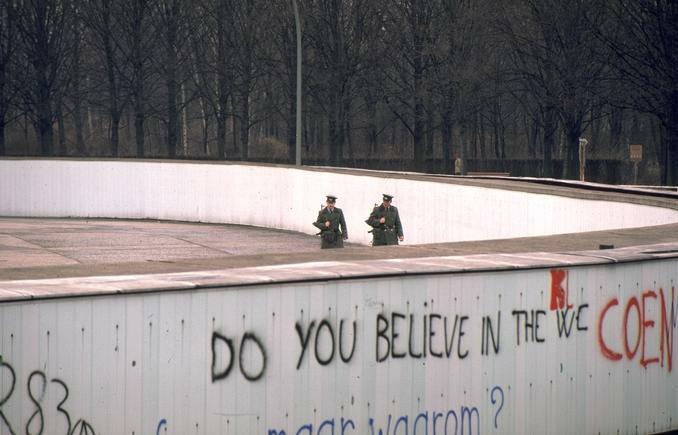 A lot of suffering ensued, but finally, public sentiment against the Wall reached a critical mass in the 1980s—Ronald Reagan’s “tear down this wall” speech on June 12, 1987 reflected the prevailing mood in favor of ending the Cold War, along with the Wall. In 1987, Saturn was applying to its February 1988 conjunction with Uranus at 29°+Sagittarius, and liberation was in the air. By November 1989, Saturn had moved on to perfect its new Capricorn cycle with Neptune—the barriers to world trade were fast dissolving, along with the Wall. It was a “twofer” victory for Western corporate interests (Capricorn): Eastern bloc freedom opened that important bloc of consumers to the “dream” of liberalized global capitalism. The rest is history. 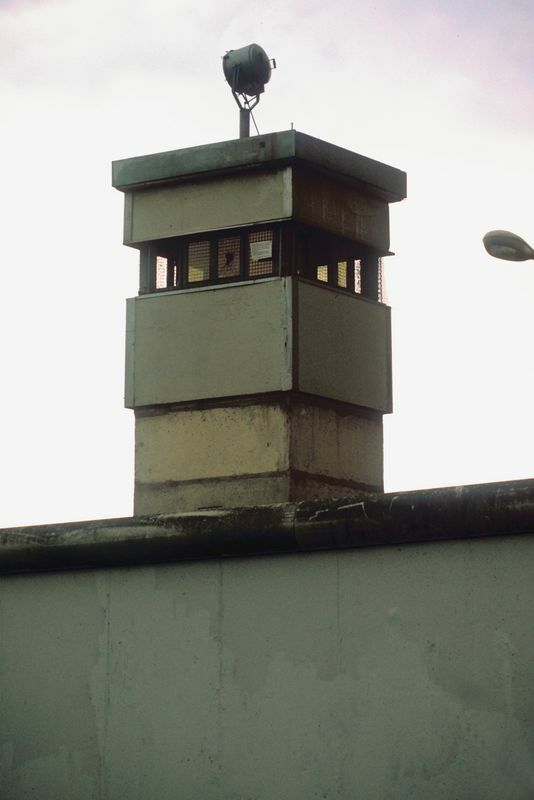 Let’s examine a few key highlights from those distinct stages in the Berlin border closing process and consider how they speak to our present “build-a-wall” discourse. Cardinal Grand Square: Aries Sun-Mercury-Jupiter opposite Libra Saturn-Neptune, all squared by Cancer Uranus opposite Capricorn Chiron. This certainly reflects the confrontational (Aries-Libra) nature of Berlin’s dilemma in 1952—not to mention Moscow’s ideological (Jupiter-Neptune) motives for isolating their domain from Western “capitalist propaganda” (Mercury-Jupiter). Saturn-Neptune’s fresh new cycle (exact in November 1952 at 22°+Libra, even more closely square to Cancer Uranus) thus birthed the “vision” (Neptune) that would manifest (Saturn) in 1961 as the Wall. The wounds about to be inflicted on the people of both sectors by this authoritarian plan are especially seen in the Sun-180-Saturn square to Uranus-180-Chiron. Scorpio Mars disposes Aries planets, squares Leo Pluto and trines Pisces Venus; Venus disposes Libra planets and forms a Yod via inconjuncts with Pluto and Neptune (Pluto sextile Neptune). The hard-nosed, “nobody-trusts-anybody” nature of this repressive plan is spelled out clearly here. Bridge of Spies does a brilliant job of portraying that mistrust, and the State violence and misery caused by the building of the Berlin Wall—guards shooting in cold blood those attempting to scramble over the top; the forced shredding of family connections across the sectors; the sheer dreariness of the militarized “death zone” that developed along the perimeter. However repressive the situation would become, though, Mars’ trine with Venus and Venus’ yod with heavies Neptune and Pluto (Venus disposing Libra Neptune) suggested that Moscow’s plan would be self-defeating in the end: people’s aspirations and power would finally coalesce as a true “force of (human) nature” in November, 1989. More on that to come. Saturn applies to new cycle with Capricorn Jupiter; this duo trines Virgo Mars and inconjoins Leo Uranus-Node; Uranus conjoins Leo Sun. Saturn is strong in its native Capricorn and its limiting agenda was perfectly expressed in the Wall. Authoritarian (Leo points) energies have nowhere to go but more authoritarian in this chart (inconjunct dilemma)—Mars implements the agenda militarily from Virgo. 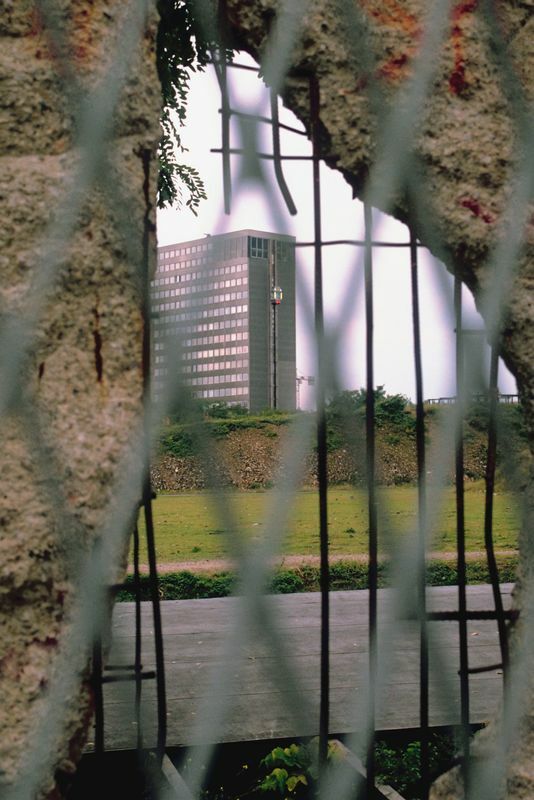 With these energies, it’s no wonder East Germany—with its “Iron Curtain” Wall—came to symbolize the ultimate repressive society (Saturn-Jupiter in Saturn’s ruling sign; Uranus conjunct Sun adds fixed authoritarian energy). Grand water trine: Cancer Venus –Scorpio Neptune-Pisces Chiron. This configuration certainly reflects the trauma that German citizens must have felt of being overtaken and vanquished by the harsh powers-that-be, but it also reflects Cold War fears about nuclear (Cancer-Scorpio) confrontation with the Soviet Union (and by extension, the Eastern bloc). Apparently, by 1961 then-U.S. president John F. Kennedy had indicated he would not intervene in the GDR’s plan for the Wall. We can only wonder if Kennedy saw some tactical advantage to this position (with U.S. military bases there, he probably did), or that—despite the Marshall Plan’s efforts to rebuild Europe—the U.S. had little sympathy for Germany’s plight. Saturn conjoins Neptune (Capricorn), tightly opposite Cancer Jupiter. Amazingly, the Wall was conceived under the 1952 Saturn-Neptune conjunction in Libra and crumbled under the 1989 Capricorn conjunction. At maximum opposition in this chart, Saturn and Neptune combined with Jupiter in water sign Cancer to simply wash the Wall away on a wave of social change. The movement didn’t appear out of nowhere, of course—the door was opened to change by Soviet leader Gorbachev’s “Perestroika” program (economic/social restructuring) and Western forces facilitated. Jupiter trines Scorpio Sun-Mercury-Pluto; Scorpio Mars sextiles Capricorn Uranus. As portrayed so well in Bridge of Spies, accomplishing major power plays during the Cold War was a smoke-and-mirrors sort of affair. The Scorpio energies in this configuration suggest that similar backroom negotiations may have opened the way for the Wall’s demise—if nothing else, a choice must have been made not to respond with characteristic violence as the people chipped away at the graffiti-covered Wall with hand tools. The Mars-Uranus sextile (Mars strong in Scorpio) suggests that border guards simply looked the other way, which shouldn’t be that surprising—revolutions often depend upon the military having a change of heart and standing with the people. As anyone watching this crazy election year unfold knows, in 2016 we are as caught up in plans to build walls against “Them” (those many enemies out there just waiting to overtake our shores) as Soviet East Germany was in 1952. Building a wall between the U.S. and Mexico is Donald Trump’s signature call-to-action, and amazingly, he’s built front-runner status around that outrageous, impractical idea. Is anyone thinking about what that would look like in reality??? Maybe Trump voters should review Bridge of Spies for a little context? 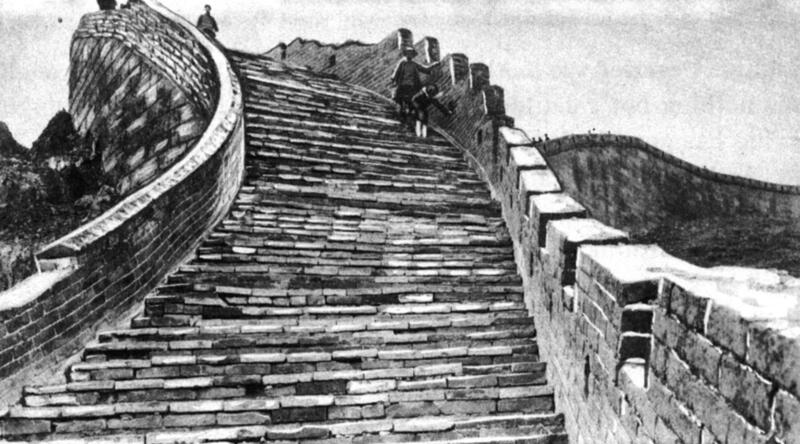 As for other films that reflect today’s realities while tapping into historical periods, the news reports that actor Matt Damon has agreed to star in a Chinese-produced film entitled The Great Wall. 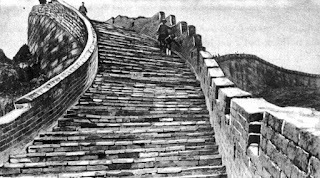 Attempts to bridge the “wall” separating U.S. and Chinese economic/cultural interests were apparently at the heart of this move, so go figure. Not unlike Spielberg's film, where the redeeming feature of the story is the bridge that allowed U.S.-Soviet cooperation, even as momentary and fleeting as it was. Walls have become the dominant metaphor of our day, when maybe bridges should be on the agenda?